Could you please note the number of guests staying. Please note- Minimum 3 nights stay. On initial enquiry, can you please let us know how many guests are staying, Thank you. Our price includes the provision of bed linen, towels, gas and electric, a safe for any valuables and a complimentary pack for your arrival. 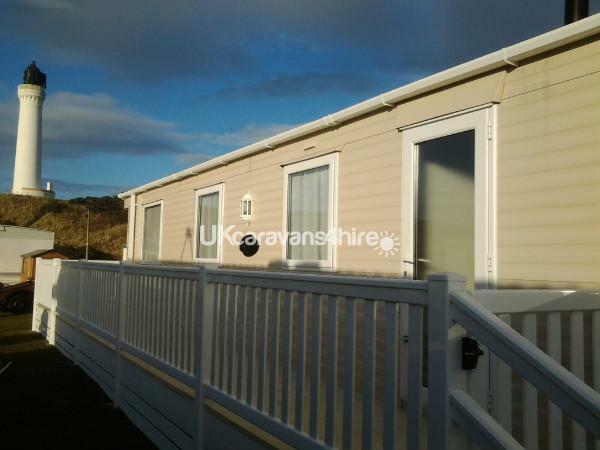 The Caravan is pitch number 87, with un interrupted view of the Covesea lighthouse from the living room window and large decking area. 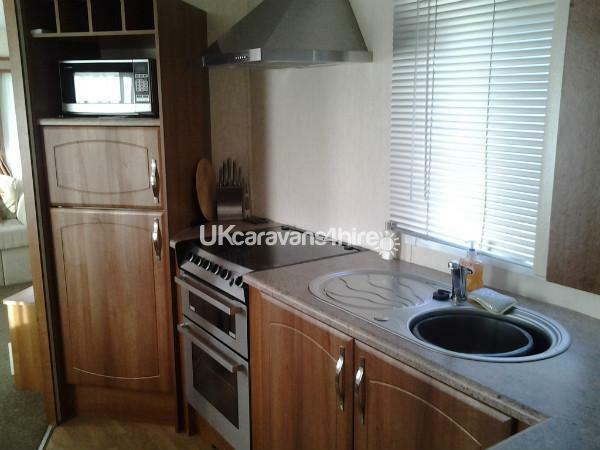 Facilities within the caravan include a combination boiler for instant hot water, fitted kitchen with gas cooker and hob, kettle, toaster, microwave and fridge with freezer compartment as well as all crockery, cutlery, cookware and glassware. Gas central heating is available throughout and also features double glazing. Silver Sands Holiday Park and local area info - The local town of Lossiemouth is situated less than 2 miles away with shops, restaurants and pubs with another long stretch of golden sands at the East beach. Along the coastline are the villages of Hopeman, Cummingston and Burghead, (Home of the Clavie), Roseisle and onto Findhorn, all with their own lovely beaches. Café Mouie in Hopeman is certainly worth a visit. The larger City of Elgin, (8 miles) with 24hr supermarkets (Asda,Tescos) and shopping centre, leisure centre with swimming pool, ice rink, gym, cafe and soft play area. Ten Pin Bowling, a family fun centre, cinema, go karting, and plenty more things to do is only a 10 minute drive away. Visit the many world famous distilleries within a short driving distance, Glenfiddich, Macallan, Glenfarclas to name a few. The area can also boast to have many of the finest golf courses in the North of Scotland, Moray, Elgin, Forres, Nairn and Castle Stuart, recently and soon to be again, home of the Scottish Open, again within a short driving distance. The Historical sites of Spynie Palace, Duffus Castle, Elgin Cathederal and the famous Gordonstoun School, are on also your door step. The huge stretch of beach at Silver Sands is clean and never too busy. 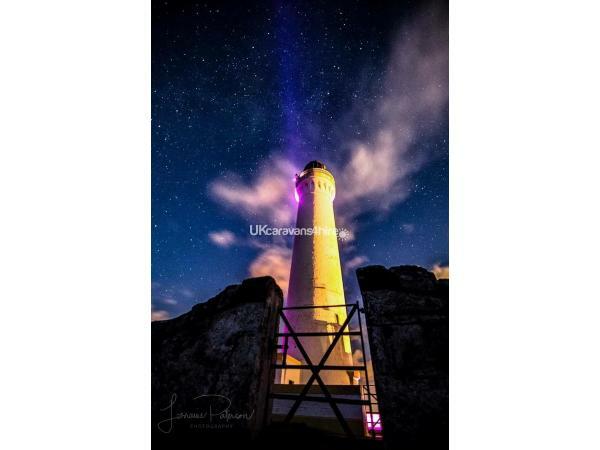 The caravan is sited only 1 minutes walk from the shoreline, stretching from beyond the famous Lighthouse along to the club house of Moray Golf Club. At various times of the year there is always a chance of seeing the dolphins and seals just off the shore. You can also see the awesome sight of the Typoon Fighter Jets taking off and landing at the nearby RAF base. We would like to think that we have provided everything you will need for your stay, so once you have arrived, just relax and enjoy. I booked online, between actually booking and our stay the owners kept in contact and were quick to get to me with any questions I had, the booking process was seamless. We were warmly greeted on arrival, given keys and shown how to work the boiler, the heating had been put on in advance so it was nice and warm when we got there. Was impressed with the facilities, fresh laundered towels in all rooms, and unexpected extras like hairdryer, straighteners, tv in living area and master bedroom, a large dvd collection and a wii console for the kids with tonnes of games and controllers, board games, cards, dominoes. The caravan was spotless clean on arrival and the owners had even left a bottle of wine and some snacks for us which was a lovely welcoming extra little touch which was much appreciated after a long drive. 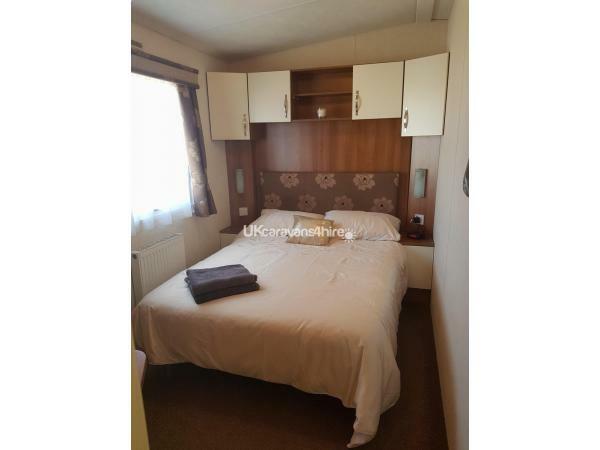 The caravan was spacious inside and out with a lovely outdoor seating / dining area with fantastic views of the lighthouse, well equipped with great cooking facilities, a great powerful shower and the perfect location, minutes from the gorgeous beach and onsite entertainment facilities. Would highly recommend and we for sure will be returning. 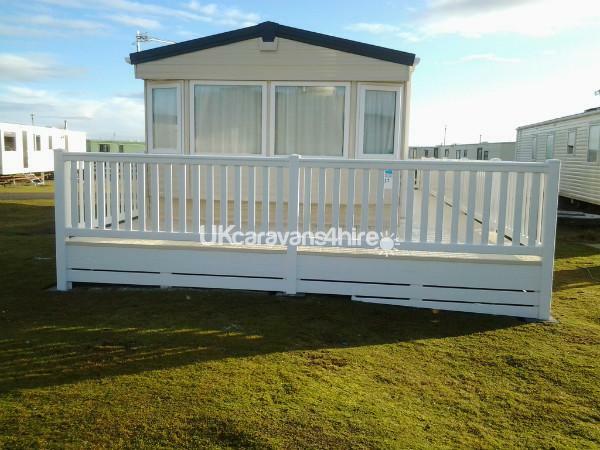 Also worth mentioning, the weekend that I went to book the silver sands website was showing almost full, the few caravans available which were the same specifications as this one that we stayed we over double the price. 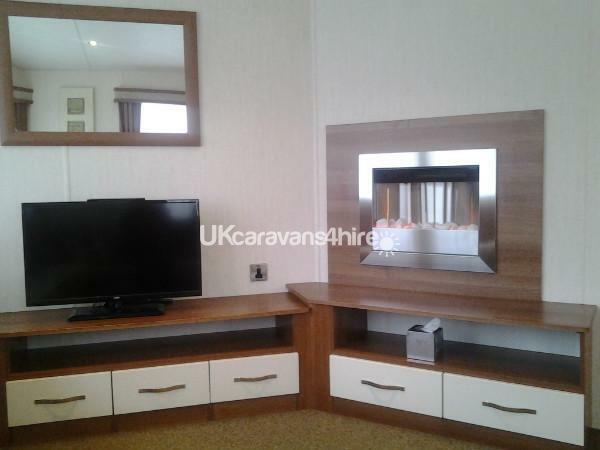 I've booked direct with the caravan site before and never had the level of customer service that I received from Russell and Karen or the small personal touches that truly made it a home from home and to top it off it was half the price. Thanks again Karen and Russell for making our stay so enjoyable. Thank you Carla, we try to treat our guests as we would like to be treated when away from home. Glad you enjoyed your stay. 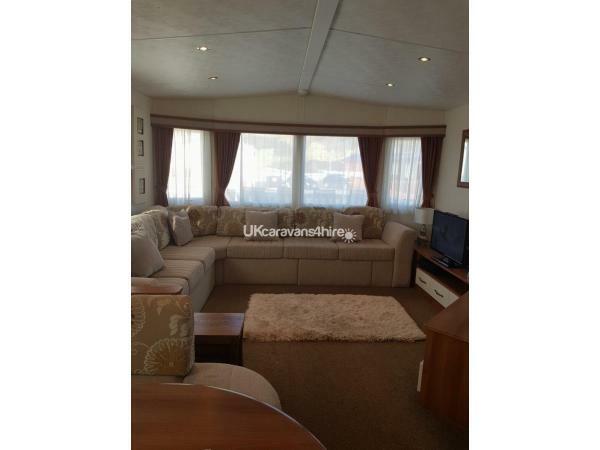 We have just returned from a long weekend in this extremely nice caravan. 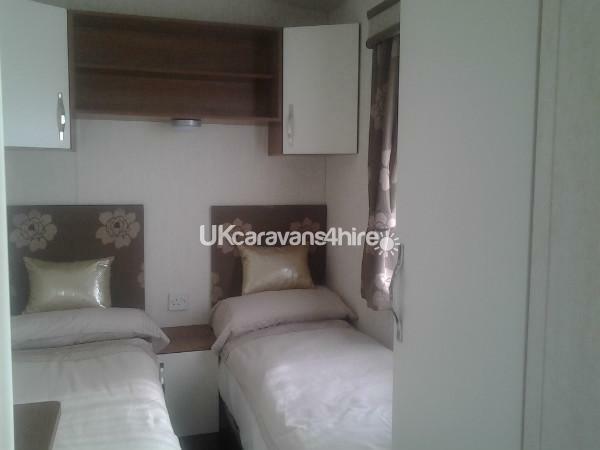 It was immaculate, fully stocked with everything you could possibly need and so very comfortable. Super decking area for sitting out on a sunny day. 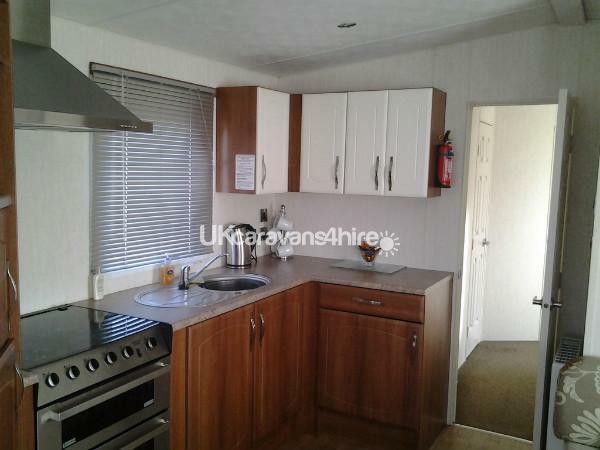 The caravan is in a nice quiet area of the site close to the beach and lighthouse. Highly recommended. 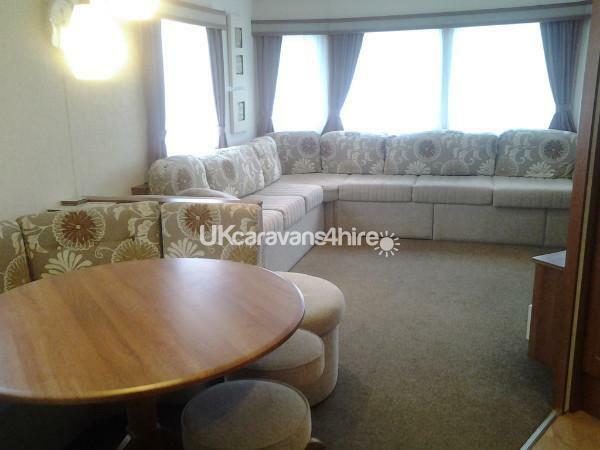 Very nicely presented luxury caravan, owners have provided a real home from home that was a joy to stay in but a real struggle to leave. Great communication from owners prior to booking and can't fault the entire experience. 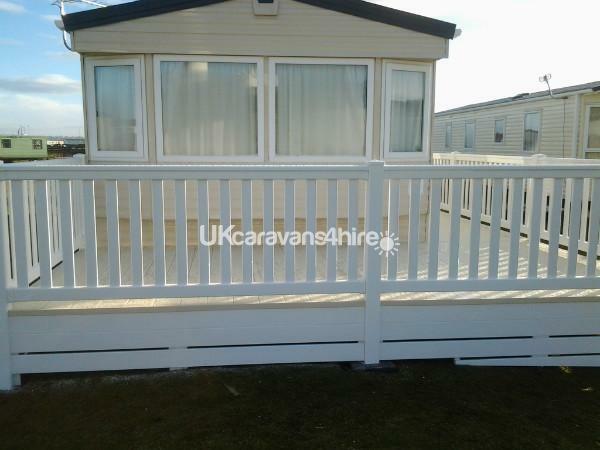 Oh and caravan has in our opinion one of the best views on the entire site. We'll be back for sure and you should try this one for yourselves. Fantastic stay. We have stayed in many caravans over the years but this was by far the best. They have thought of everything making this feel like a home from home. 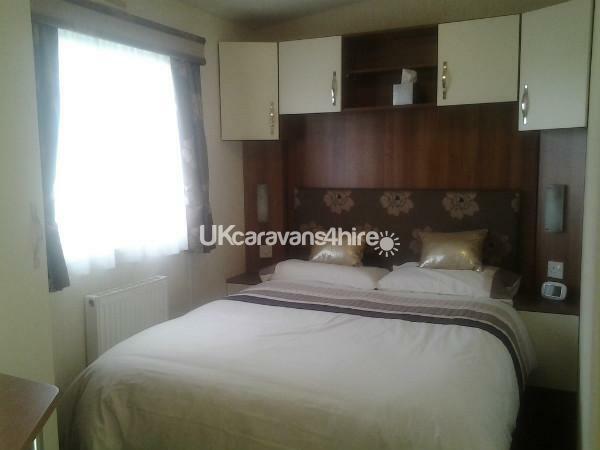 We were there with our children and their partners who stayed in other caravans not nearly as nice as this one.